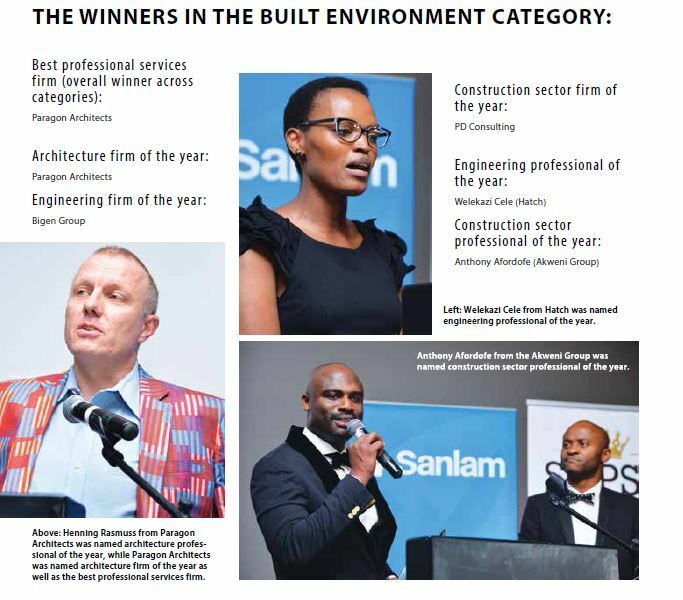 Who is SA’s best in the built environment? The South African Professional Service Awards (SAPSA), sponsored by Sanlam, recognises the professional excellence of individuals and firms from industries such as architecture, quantity surveying and engineering, as well as accounting, management consulting and legal. Held for the third consecutive year, this edition of the awards saw a significant increase in individual entrants, according to KC Rottok, founder and project manager of the awards. “The awards were judged based on a host of attributes including demonstration of leadership skills, changing of paradigms and innovation within the bounds of available resources,” he says. “These awards are important as they give visibility to disciplines that are desperately needed in this country,” notes Gert Bezuidenhout, regional general manager for the Gauteng region at Sanlam. “They also reward entities for performing well in important areas such as transformation, customer service, contribution to the community and commitment to ethical best practice,” he says. Special commendations went to: SNA Civil and Structural Engineers, Mathieu Du Plooy (WSP), Nonku Ntshona (NNAQS), Lynne Pretorius (ITS Engineers), Louis de Waal (Bosch), Elene Olwagen (Boogertman + Partners) and Tommy Strydom (Inyatsi). • Dr Peter Day (Jones & Wagener). • Dr Pine Pienaar (Nyeleti Consulting). • Dr Snowy Khoza (Bigen Group). • Pierre Lombart (GLH Architects). • Nico van der Meulen (Nico van der Meulen Architects). 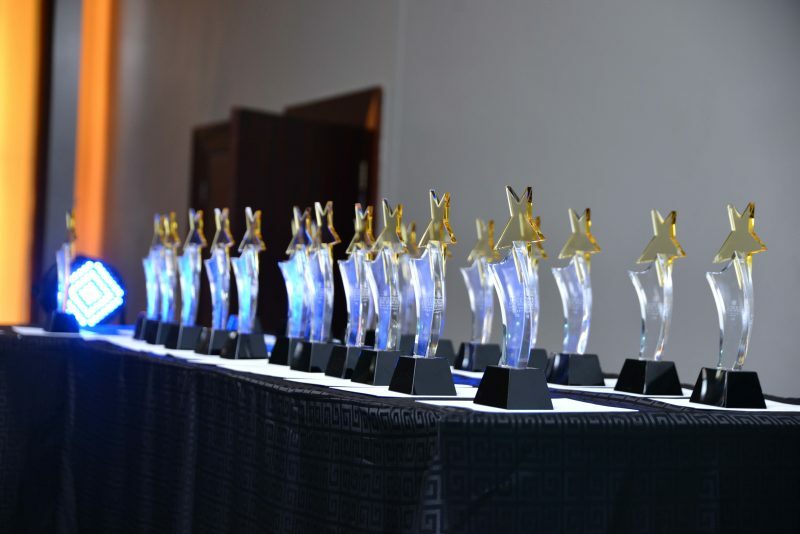 For more information on the awards and for the winners in the commerce, law and management categories, visit http://saproawards.co.za.